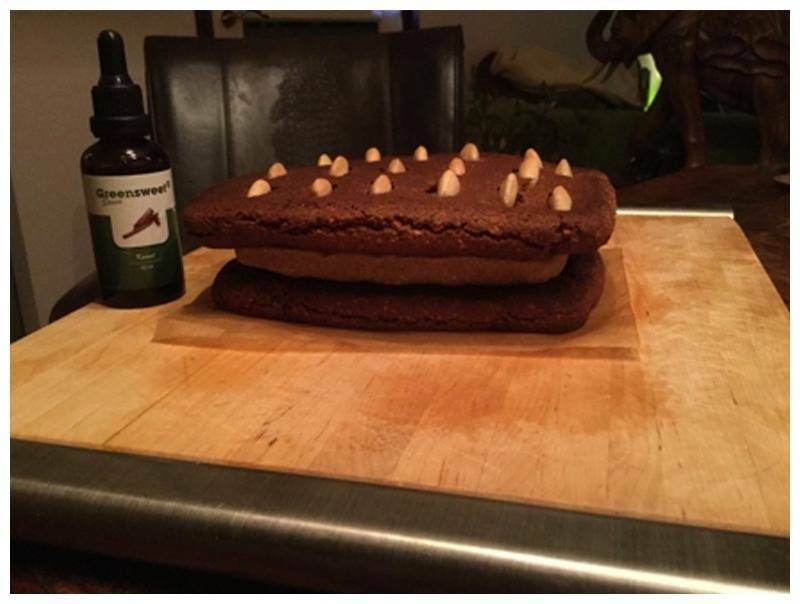 A recipe to make filled speculaas from Christel, in which they include Greensweet liquid stevia processed. What do you need: For 12 pers. Grind the brown almonds in a food processor into almond flour with coarse grain. Add the dates, coconut oil, stevia, cinnamon, ginger and cloves and mix into a sticky dough. Meanwhile, mix the flour with the baking soda. Put the dough in a bowl and add the spelled flour with baking soda while kneading (with the hands). Knead until the dough no longer sticks to your hands and form a ball. Wrap it in cling film and place it in the refrigerator for at least 4 hours. Divide the dough into 2 equal pieces and make equal slices of about 15 X 9 and 2 cm thick. Place this on baking paper on a baking tray. Bake the slices in the oven for about 20 minutes. Meanwhile, grind the white almonds in the food processor into a fine almond flour. Add the dates, the lemon zest and the essence and form an equal slice of this food. Remove the two slices from the oven and place the food on a slice and then stick the other speculaas on the food. (Careful because this can break quickly) If necessary, decorate with white almonds by pressing them into the speculaas. Lower the temperature to 150 C 'and bake the gingerbread for another 10 minutes in the oven or until well browned. Then let it cool down and your delicious evening is ready!